Made in 2007 — two years before Charles Dickens’s England — The Riddle was the second film from writer-director Brendan Foley, whose subsequent credits include three episodes of children’s cartoon Shelldon and something called Legend of the Bog. 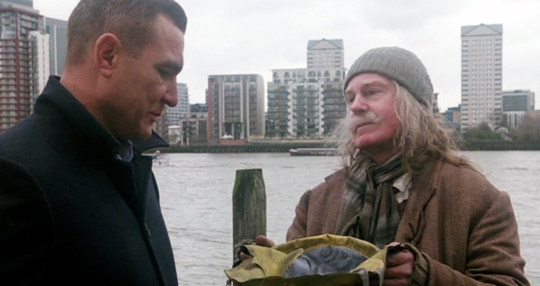 In the film, Jacobi plays both Charles Dickens and ‘an eccentric beach-combing tramp’, who teams up with an investigative reporter (Jones) to solve the murder of an East End landlady. The film also features Jason Flemyng, Mel Smith and Oscar winner Vanessa Redgrave. I’m not shitting you.